Ramazan, that time of the year again when the devout fast from sunrise till sunset every day for a month. With the fasting comes the feasting too as the labyrinths surrounding Nakhoda Masjid in Zakaria Street turn into a bustling food bazaar during iftar time. Apart from the meaty fare, there’s a delicious variety of baked goods you can get here only during Ramazan. Check these out. 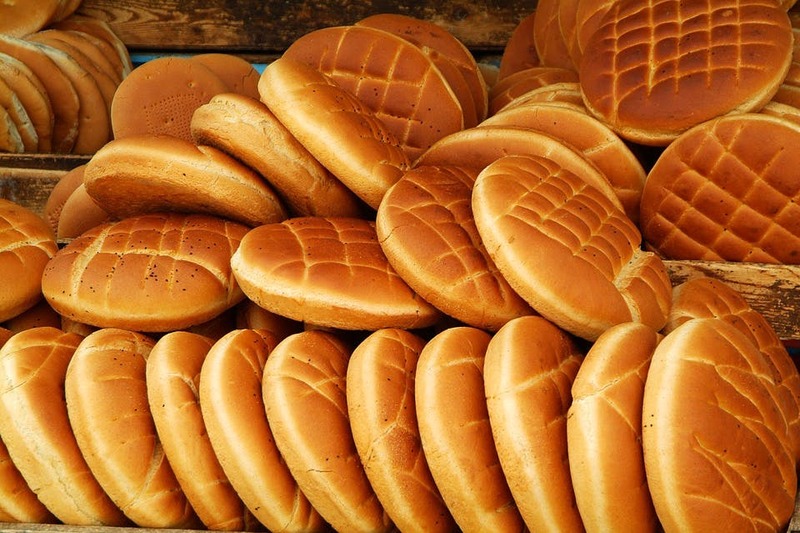 Sheermal, (“sheer” meaning milk) is a slightly sweet, saffron-flavoured and insanely soft bread as milk forms an integral part of its dough. You can have these in perfect contrast to the spiced but delicate stews of galauti or sutli kebabs. Be sure to try the butter and jam sheermal which is a delicacy in its own right. Pocket Pinch: INR 12 to INR 25 per piece (varies according to the size). A traditional soft, leavened Turkish bread, round and rather flat in form, with a weave-like patterned crust. Made of wheat flour mixed with yeast, topped with sesame and nigella sativa seeds, this mildly sweet bread will stick on to your taste buds for life. Make sure you heat it up slightly before eating to enjoy it the best. Pocket Pinch: INR 60 per piece. These are shiny, sweet buns but in a flatter form. The glossy coat on top is the result of a concoction of sugar and some other proprietary ingredient making these look slurpy. You might enjoy this as a baked dessert after a satiating post-iftar meal. Pocket Pinch: INR 15 to INR 25 per piece (varies according to the size). The great varieties of biscuits available at Zakaria Street are ideal to break your fast with or to complement your morning chai. Nankhatai (naan – flat-bread and khatai – cookie) is a variety of shortbread believed to have originated in Surat during the Dutch era. It leaves a lingering taste in your mouth. Pakeezah biscuits come in a round shape of different sizes and also has an elongated version that looks like a submarine bread. Dunk in your chai or coffee to make these melt in your mouth. Pocket Pinch: INR 120 per kg for nankhatai and INR 70 per kg for pakeezah biscuits. along with his brother. His good-natured demeanor lends extra sweetness to the fare he sells.